You can purchase our audiobooks (or epub copies) on this page. There are no authorisation codes attached to them (no drm), which means you just pay for one, download it, then listen to it. Our audiobooks are in mp3 format. There are numerous handheld devices that play mp3 files. They can also be played on large screen computers and laptops (plug in your earphones or headphones and open the file). Set out below are details of the audiobooks (and epub copies) and the Buy Now buttons. But first we will tell you about the purchase agreement and the purchase procedure. Please note that your buying one of our audiobooks (or epub copies) means you accept this agreement. 1. Our audiobooks (and epubs) are subject to copyright law which means you cannot copy the file for circulation to other people and neither can you read it to the public (broadcast it) without our permission. 2. We do not refund your payment (it is pointless returning a non-drm digital product, such as one of our audiobooks, for a refund, when the customer can keep a perfectly good copy of it). 3. If a customer, at some later date, sells the device on which one of our audiobooks (or epub) is located, or if it breaks down, we do not issue another copy of the audiobook free. So keep a spare copy of the file in a back up store (mem stick, cd etc). 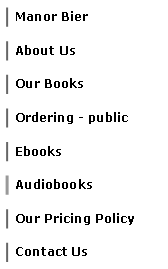 To obtain one of our audiobooks (or epub copy) by download proceed as follows. Clicking on a Buy Now button below will put you through to our online payment processing company. They will take your card details and email address. When they clear your payment you will be forwarded to their payment successful page which shows a Download button. When you click the button the file download will start. You will see an OPEN/SAVE dialogue box on your screen. Select SAVE and place the file in your desktop folder. With some computers you won’t see a dialogue box, the file will download straight into your downloads folder (it depends on your settings). When you know you have the file close the payment successful page. Immediately after clearing your payment a receipt will be sent to you by email. (i) what happened in two universities (forgery and fraud). (ii) a government cover up that consisted of a first part in which the author's 'suicide' was aimed for, and then, when that didn't take place, a second part in which an electron bullet was used to metaphorically kill him (destroy his case). (iii) some of Group X's activities. This epub is the above audiobook in written form.